When he won the 2015 British Darts Organisation World Professional Championship crown Scott Mitchell famously promised to buy his dad a new tractor with his winnings. 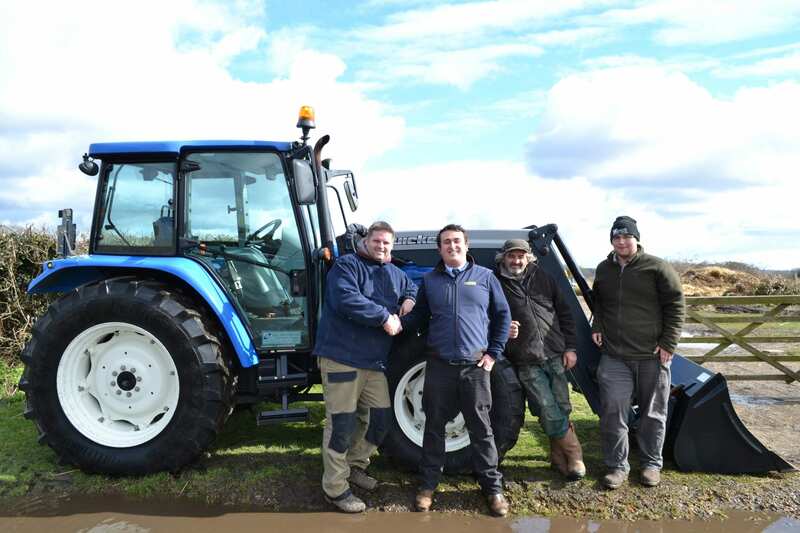 Now, just two months after Scott’s win, C&O Tractors in Blandford, Dorset, havejust delivered a New Holland T5060 to the family’s farm in Bransgore, on the edge of the New Forest. “Before going to the 2015 Lakeside World Championship in January, I made a promise to my Dad that I would get atractor that had a cab and started on the key if I won! Little did I know how this would be such a major talking point for the nation!” said Scott. The Mitchell’s farm is a family affair, with Scott, his dad Jeff and son Sam all involved. Scott, a landscape gardener, born and bred in Bransgore, is now a local celebrity. Scott started playing darts aged 16 at the Avon Valley Young Farmers Club, who have supported him throughout his playing. “I wanted to buy locally and met Ben Best from C&O Tractors when he took the time to come and meet us. A couple of local farmers have also got New Hollands and they told me how much they liked them. To find Ben was a fellow young farmer and understood our needs was great. To be able to take delivery of our New Holland T5060 was great and will save Dad a couple of hours a day doing his farm jobs and even more in the summer! That is of course if he can prize my son out of it, who wants to go and do some small contracting jobs with it!” added Scott. The New Holland T5060, with a Quicke 46 loader will be a welcome addition to the farm and a big help to Scott’s father Jeff. “We’re really pleased to have been able to work with Scott and his family, they’ve got a great tractor that I hope will serve them well for years to come.” said Ben Best from C&O Tractors. Look out for the new tractor when BBC’s Countryfile visit Scott Mitchell and his family at their farm on BBC1 29th March.